In May 2015 I returned from Mallorca after spending nine days with Team Glow, cycling up and down hills in sunnier climes. It had been my first experience of road biking abroad and I loved it! However, despite this good start to the year: upon my return to Manchester and work – I started with a chest infection. Typically when I’ve had chest infections before they have lasted months! Whose doesn’t? So I persevered and got rid of it after a couple of months. I was happy, I could ride my bike again… But then it came back, quite soon afterward, and it was making me miserable. Because as we all know chest infections are not conducive to bike riding, or doing any exercise at all. And I need to exercise. I think it was toward the better end of chest infection number two that I competed in the Bury Hill Climb Championships – my first ever, and I came a proud second. I couldn’t stop coughing afterwards, but I was so used to it by then and I missed my bike. By my third chest infection spanning most of winter 2015 I was wondering what was going on. Throughout all of this I had been given antibiotics and was still going to work and coughing at my desk. I figured I couldn’t have time off for such a common illnesss — even though looking back, it would have done me a lot of good to rest, research and help myself, rather than ignoring it, in the hope that it would go away. I sat there staring at the screen like ‘What’s that’? Anyway, after some googling and head nodding as I scrolled down the page I realised I should go talk to a doctor about this ailment specifically. The first I went to just prescribed me a blue inhaler. There was no instruction at all on how to use it – which turns out is very important! 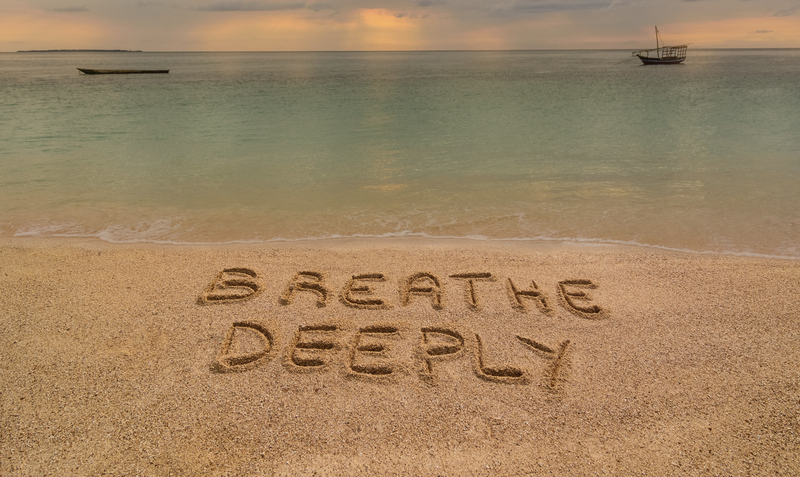 So I felt a bit fobbed-off and was left thinking – so do I have asthma…? After moving house and changing my Doctor, I ended up speaking with a nurse who has asthma. She was so lovely and knowledgeable on the subject. I was offered a chest X-ray and a spirometry test. My X-rays were clear, thankfully, and the results of the breathing test demonstrated that I had an above average lung capacity. This wasn’t a surprise given that my main activity is aerobic, but the key is that they test you before and after inhaler medication is administered. The fact that my test showed improvement after the medication was taken indicated asthma. Apparently my three separate chest infections were not three separate illnesses, they were ‘exacerbations’ – part of a bigger problem. I cried when I was told… and then apologised. It’s kind of a damning thing to be told you have a breathing problem, especially when you love something like cycling that requires strong lungs. I must admit I smoked for a couple of years when I was in my early twenties, and I have since thought how stupid I was. The nurse went on to explain that people of any age can develop asthma, known as ‘late onset’ asthma. And put simply, Asthma is inflammation inside your bronchial tubes, that restricts the airflow. Lots of things can trigger inflammation and for me exercise and cold air is one of them: Post winter ride coughing explained – in an instant. I’ve never experienced an attack like gasping for air, and apparently a lot of people never will. I was shown how to use an inhaler properly and I now have a steroid – brown one to keep it under control. And a blue inhaler for when I feel I need it, whilst exercising. I take the blue one with me now in my top tube bag and I’ll be honest – I took a couple of puffs when riding along the summer snowline near the top of the Stelvio Pass. I am still learning about the condition though and I am not totally happy yet with how things are, it’s still frustrating and I am hoping so hard that I don’t get another chest infection this Winter. And it is certainly heartening to know that a lot of athletes are asthmatic. They have inhalers too, and you know why… because they just use their lungs MORE. So they are naturally more prone to it. 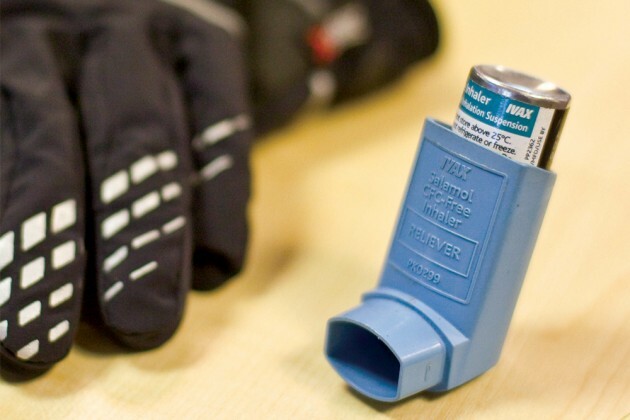 ‘Athletes are more susceptible to asthma than the general population. The reason is that when you’re exercising you’re breathing in larger volumes of air, which, if you are susceptible, increases the dose of potential triggers for an asthma response. In cycling, you increase the amount of dry air going into your airway; and out on the road there is air pollution as well. Therefore you are more likely to trigger an inflammatory response, which is likely to cause asthma symptoms. Athletes increase their exposure, so they increase the chances of developing the condition.’ – Taken from Cycling Weekly. Magnesium supplements help relax airways and interestingly if an asthma attack hospitalises you, the medics will hook you up to Magnesium Sulphate for an immediate effect! Vitamin D and fish oil help too so I’ll be incorporating those in to my diet. Tumeric too is meant to be a very good and they have capsules. After all asthma is inflammation!